All ADAMS HILL homes currently listed for sale in San Antonio as of 04/20/2019 are shown below. You can change the search criteria at any time by pressing the 'Change Search' button below. "Beautiful 5 bedroom 2 bath home is in immaculate condition, w/ plenty of room for the whole family! 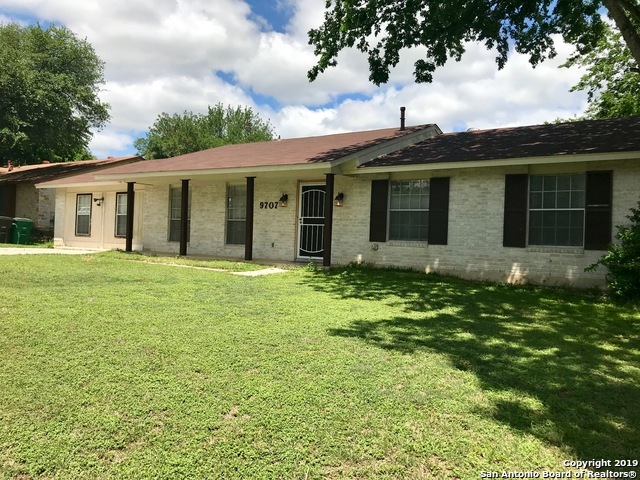 Many upgrades throughout the home, w/ great attention to detail- granite counter tops, stately cabinets, ceramic tile, fresh paint & trim throughout the home, updated fixtures, roof was recently replaced. Stunning accent wall in the living area. Large back yard is perfect for entertaining, while children play under the shade of the pear tree. Walking distance to elementary, great neighborhood! Wil"